It was 1985. I was eleven. My bedside book was Michael Ende’s Neverending Story and a blonde girl called Madonna was playing in the radio all day long. One day, dad brought home an Amstrad CPC 6128 computer. 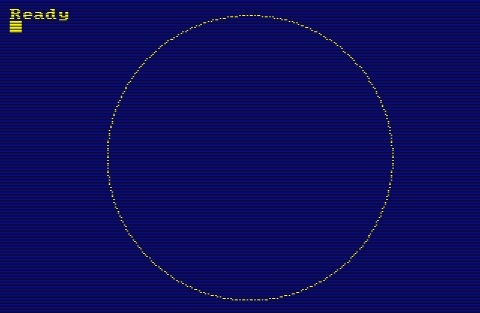 A circle. In mode 2, the display resolution of the CPC 6128 was 640×200 pixels. The pixels were like little bricks. But it didn’t matter, because it was amazing: with a limited set of instructions, a programming language, you were able to tell a little computer what you wanted it to do. And it even drew graphics. That was when it all started: programming and computer graphics.